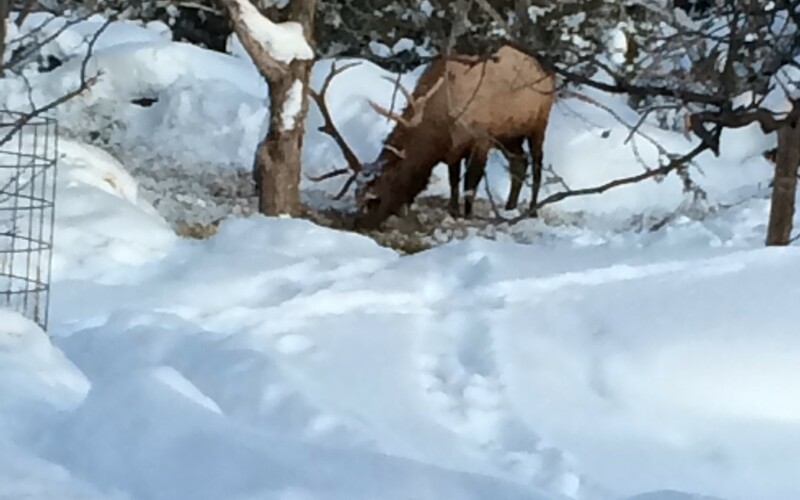 End of March and a large 50+ elk herd moved through the front yard. I think this is the latest we’ve ever seen the elk here. 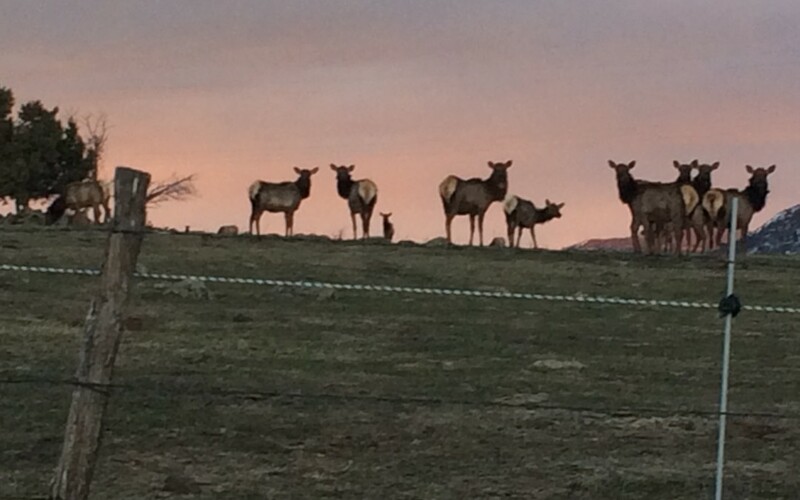 Elk at sunset up on the Terror Creek Winery hay fields. 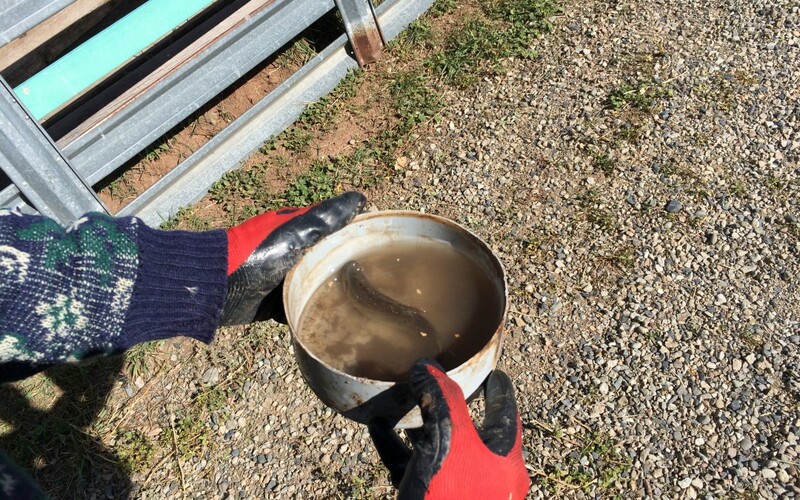 Gate into the ram pen is finally dug out. Mostly by hand. 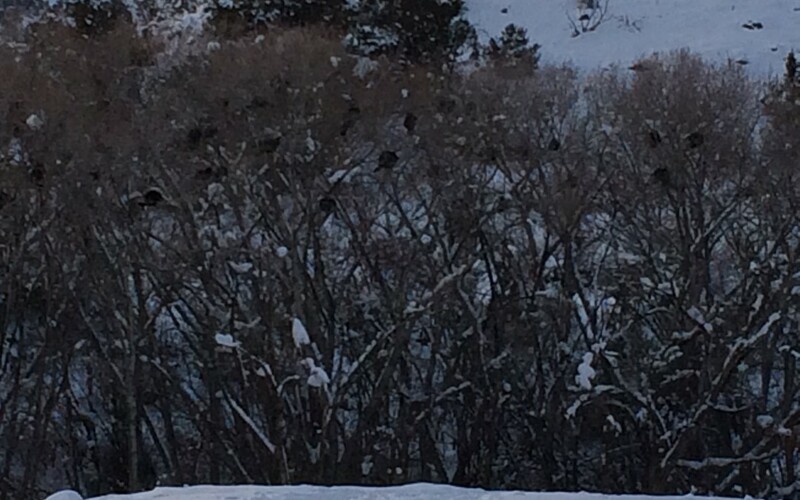 Coming home up the hill we saw where the turkey flock is roosting in the trees. 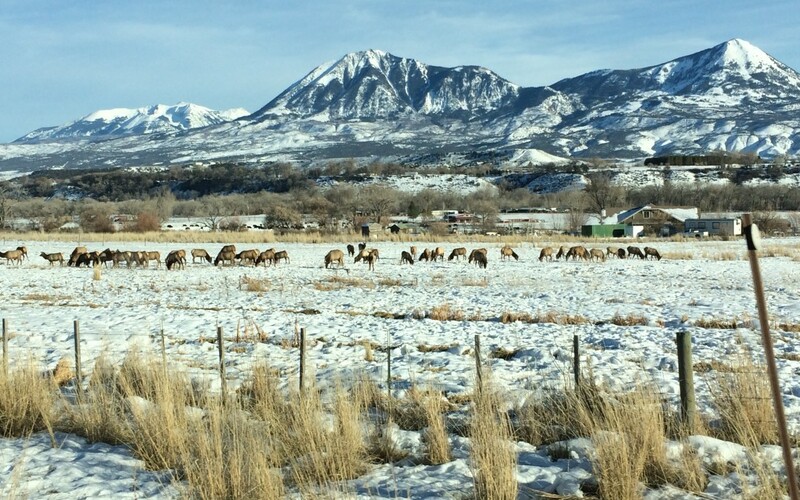 Driving back from Hotchkiss and this large herd of elk was in the valley. 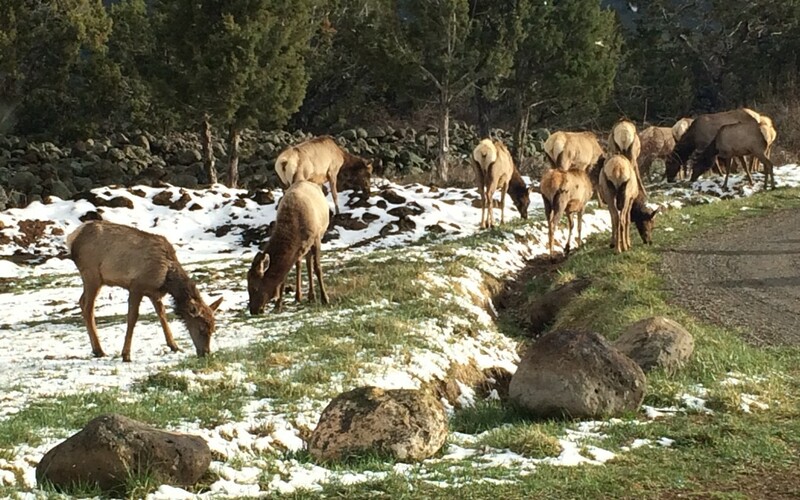 The deep snow up high has brought the elk back down to the valley. This big bull is eating the old hay we spread as mulch last fall. Meanwhile, Ken is trying to clear out enough snow from the aisle way so we can get in to feed the ram lambs.